Unless you’re a military enthusiast or a Swiss army conscript, you probably haven’t heard of Condor-Werke AG. 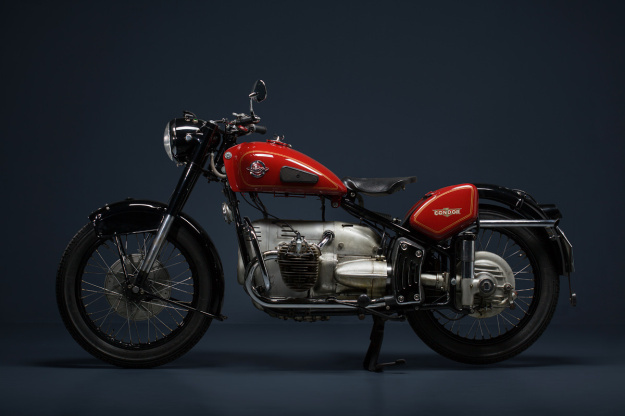 The machine captured here by photographer Marc Schneider is a Condor A580 that rolled off the production line in 1953 in Courfaivre, a small town in the watchmaking canton of Jura. It’s owned by a collector who wishes to remain anonymous, but is happy to share images and a little history. The similarities between the Condor and contemporary BMWs are obvious. The Condor is not a direct copy, but it’s a bulletproof, well-engineered air-cooled boxer with shaft drive. The Schweizer Armee coveted the BMWs used by German troops during World War II, so Condor got the job of designing a Swiss equivalent. 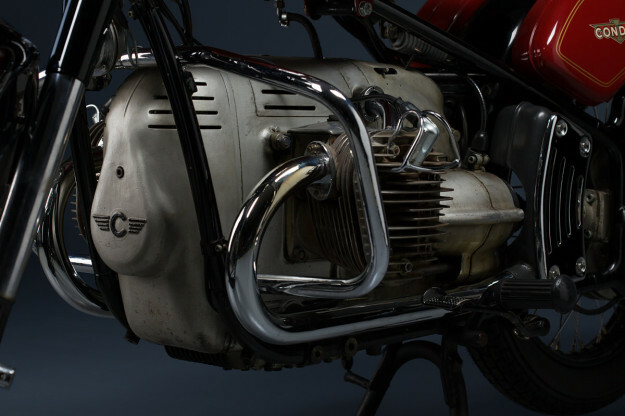 Blueprinted in 1944, the A580 has telescopic forks, plunger-style rear suspension, hydraulic self-adjusting valve lifters and aluminum cylinder heads. 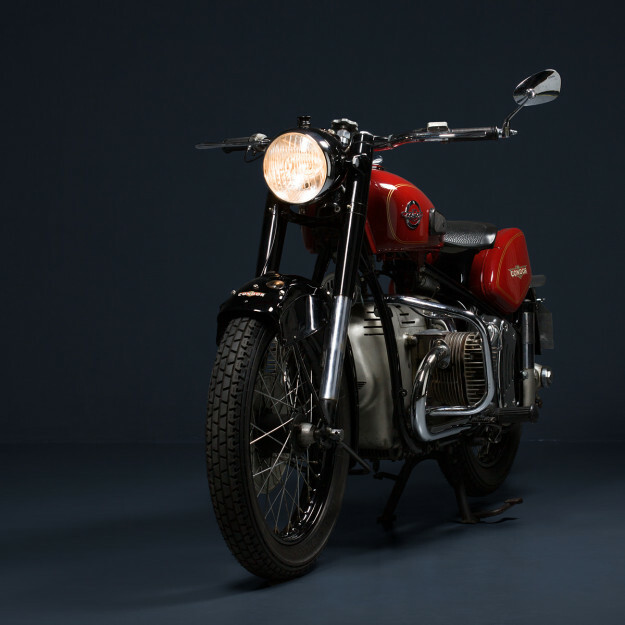 It’s clearly inspired by German flathead boxer models—such as the BMW R71, R6 or R12, and the Zündapp KS600. 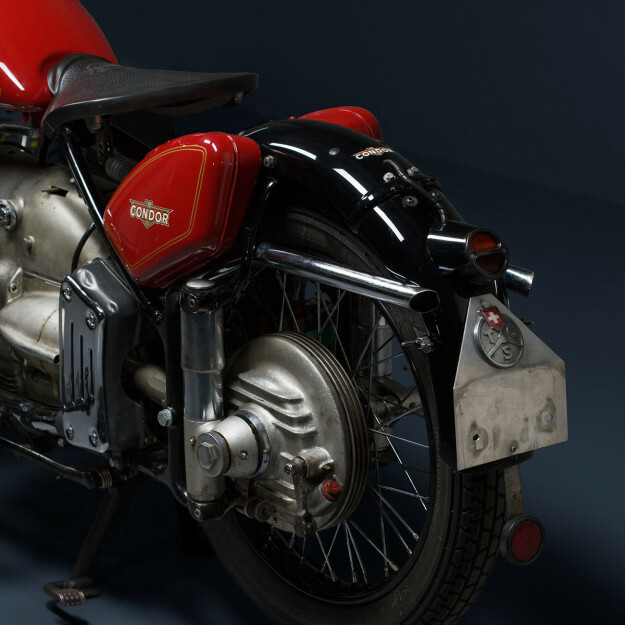 The bike we’re looking at here spent a decade in service before being auctioned off. When the 1970s arrived it was locked away, and forgotten till the 21st century. It’s now been treated to a classy restoration job, but retains some of the battle scars it earned during military service—including a few broken cooling fins on the cylinder heads. The tires are a period-correct Metzeler Block C pattern—hard to come by nowadays, but a neat finishing touch for the restoration. The subdued military paint is gone, replaced by a red color that Condor used for its civilian models, which sold for twice the price of contemporary BMWs. But the unusual gear ratio reduction lever (below) remains, mounted on the right side of the transmission. 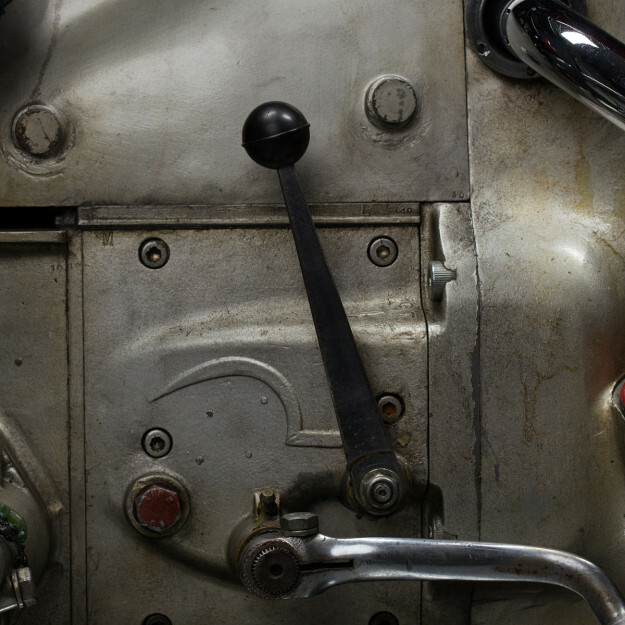 This lever gives the Condor eight gears—four for the street and four for hard terrain, which reduces top speed from around 110 to 50 kph (31 mph). 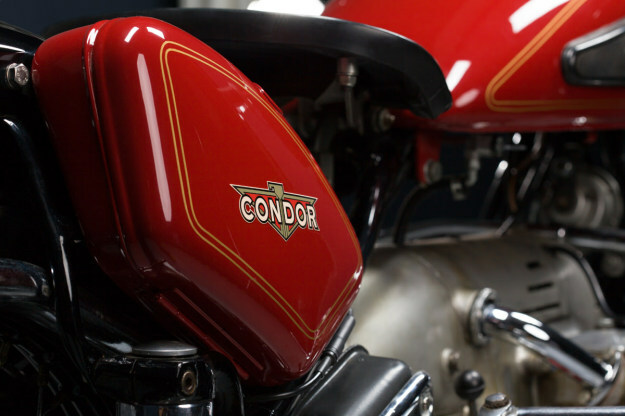 The Condor may not be the most exotic of classic motorcycles, but it’s virtually indestructible. And who doesn’t like the idea of an older bike that won’t break down every five minutes, and is simple to maintain? Maybe it’s time to start trawling the classifieds in Zürich and Geneva. With thanks to Marc Schneider.